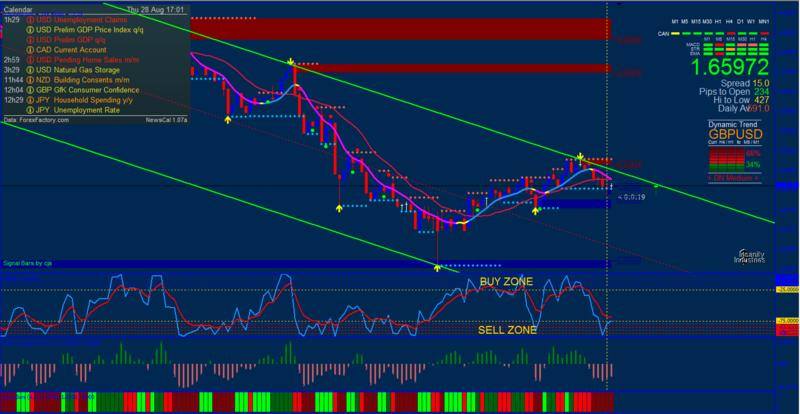 Binary system M1 and M5 high/low trend momentum strategy. Binary system M1 and M5 is high/low trend momentum strategy. This trading system is also good for trading without binary options: scalping, intraday and swing. Markets: Index (S&P 500, Nasdaq, FTSE, DAX, ) and Forex. Expiry time for low time frame 6-9 candles, for time frame 15 min or highes 4-6 candles. Tips: see also price action dot sixty seconds trades alert (green dot). Tips: see also price action dot sixty seconds trades alert (red dot). In the pictures Binary system M1 and M5 in action. Binary system M1 and M5 in action. hello any ideas for exit in 1minute in forex? Buenos días, como se puede acceder al Sistema? Hello what are the rules for this indicator thank you? i am having the same problem as brian. Indicator won't show on my account. Someone please help! Please guys anyone help me which signal to take? Is it the arrow or the dot? And if I take the arrow what's the expiry time and if I take dots what's going to be my expiration? Thanks.